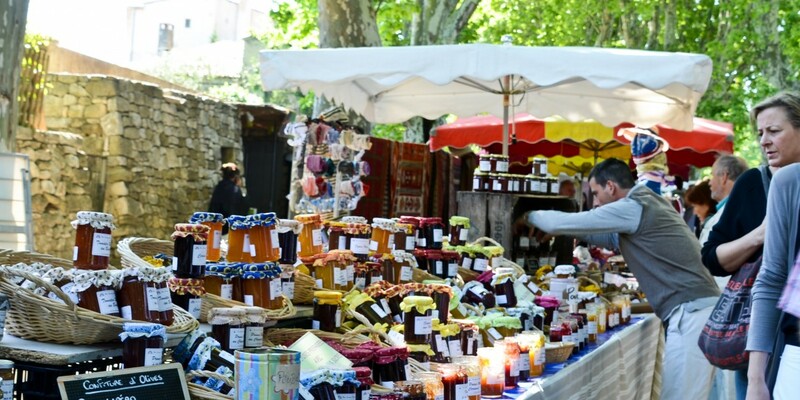 One of the highlights of a trip to Provence is always going to be the rich array of open-air markets. 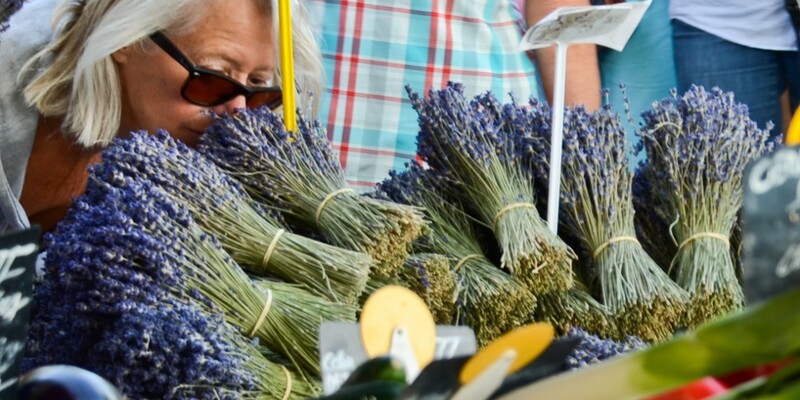 These are held in every town and just about every village of Provence. 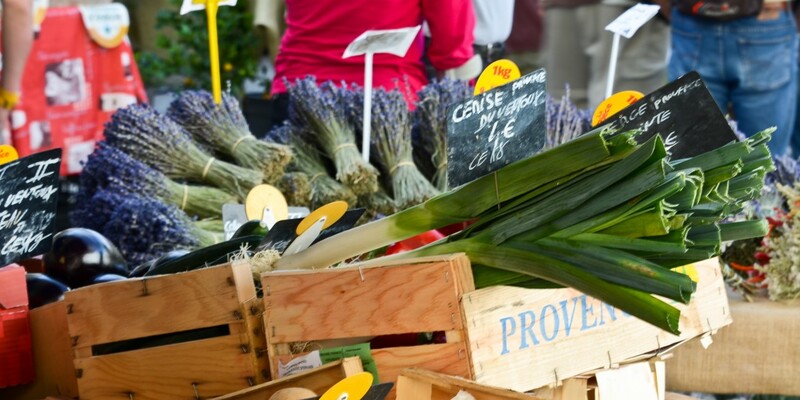 The market is the link between two of the France’s identifying traits – the glory of the countryside and the importance of food. 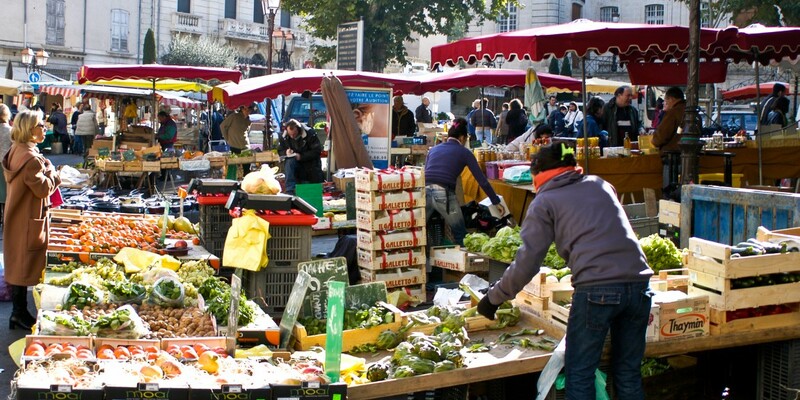 The market embodies the deep-rooted French belief that the best food goes from field to plate in the shortest amount of time. 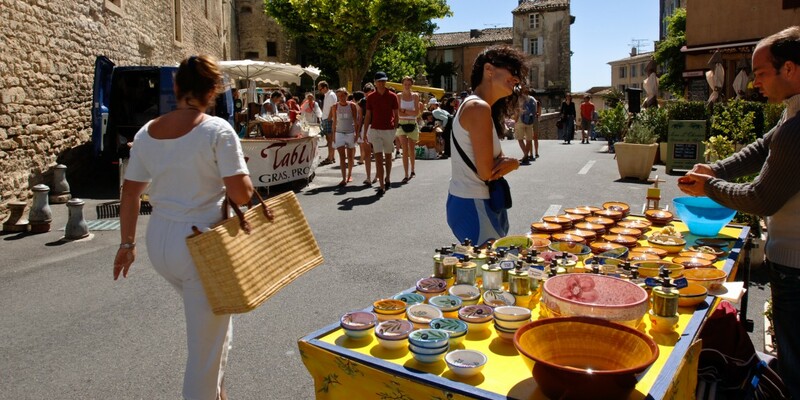 The markets of Provence are an explosion of colours, scents and sounds, an invigorating experience even if you are not buying anything. 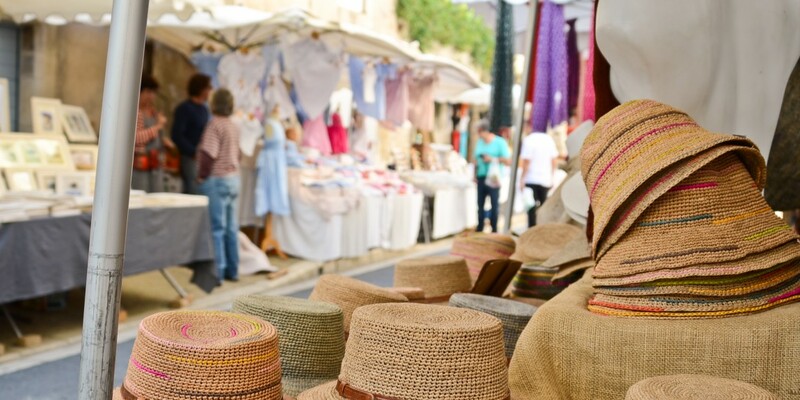 Markets are full of fruit, vegetables, cheese, bread, meat and fish, olives, oil, honey, wine, everything for the perfect picnic, but also fabrics, soaps, crafts, clothes and gift items. 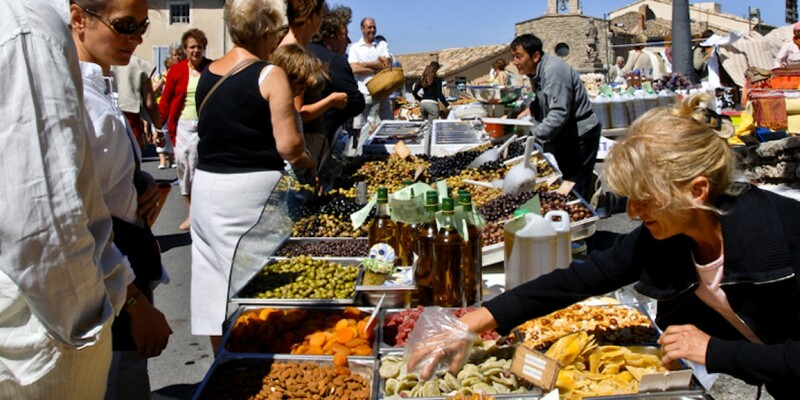 In Provence, markets take place in practically every village on a weekly basis, and more often in towns and cities. They are almost all in the morning, winding up from 12 noon onwards, and gone by 1pm. L’Isle-sur-la-Sorgue – Sundays: L’Isle-sur-la-Sorgue on Sundays. The ultimate two-for-one. 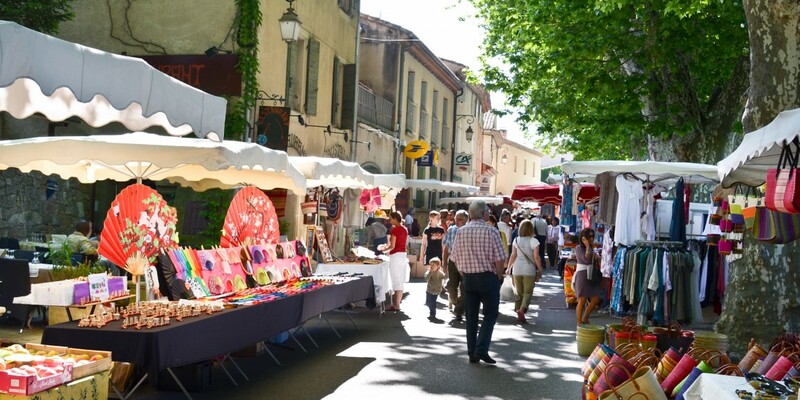 There is an excellent street market with all the usual food stalls, but L’Isle-sur-la-Sorgue is also the antiques and bric-a-brac capital of Provence, maybe of France itself, and Sunday is flea market day too. 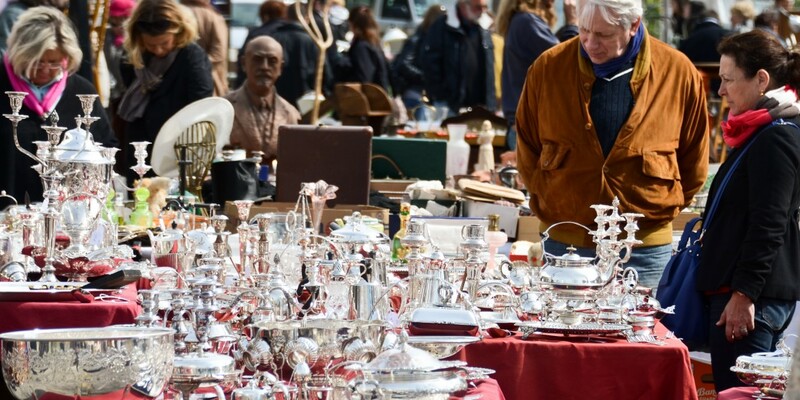 All the antiques shops of L’Isle-sur-la-Sorgue are open, and in the streets stalls groan under the weight of everything from worthless but intriguing family knick-knacks to genuine finds you will not want to live without. Coustellet – Sunday morning: From April to December, and also Wednesday evening in summer. 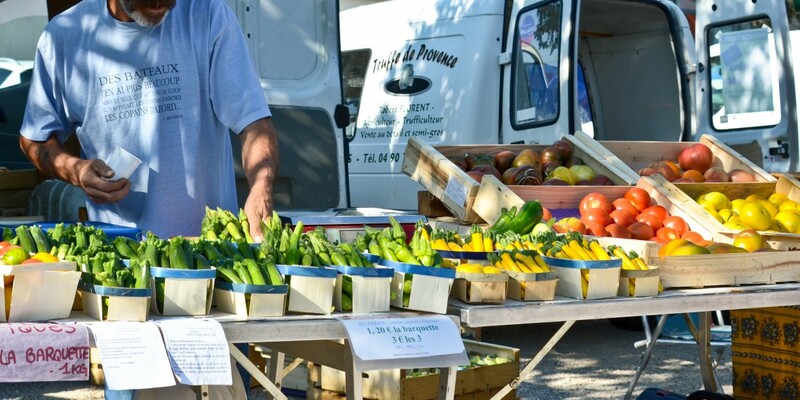 This farmers’ market in the centre of Coustellet has grown over the years and is now a must-go for food-lovers, especially if buying local from the people who grew the food is important to you. 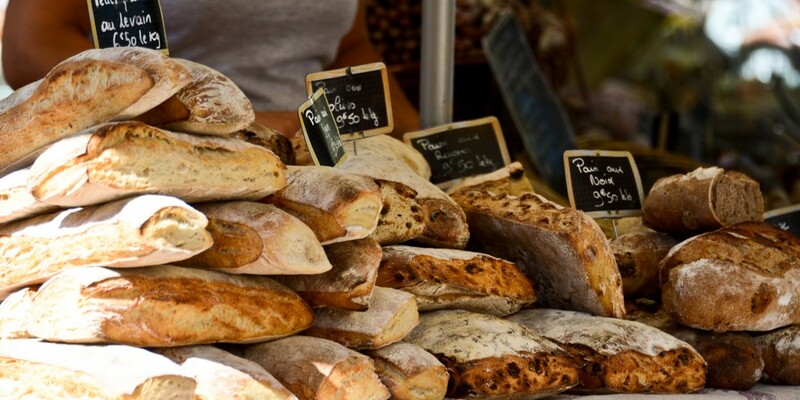 As well as seasonal fruit and veg there are stalls selling specialty bread, seafood, cheese, chicken and meat straight off the rotisserie, and all sorts of specialised craft items. Everyone seems to come the Coustellet market at 11am, despite knowing it is better to get here earlier. Bonnieux and Lourmarin – Friday morning: Two great and good-looking village markets in Bonnieux and Lourmarin, with a short but picturesque drive through a cut in the mountain in between. You tend to see some of the same stalls from market to market, but obviously not in this instance. Both are unique and sit perfectly within two of the prettiest villages of Provence. 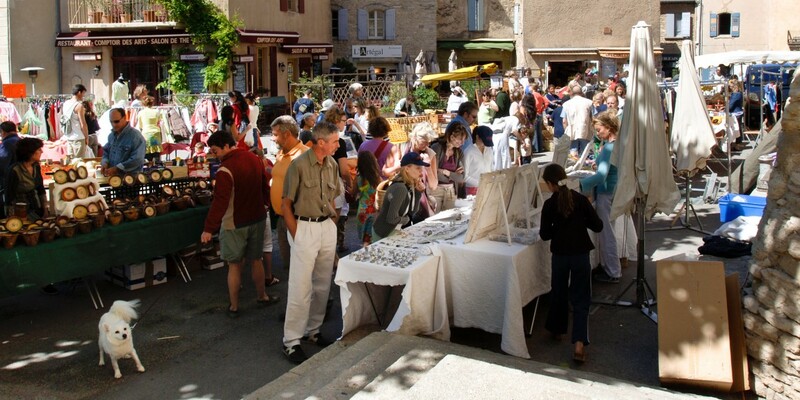 Apt – Saturday mornings: Running year-round, Apt market is the biggest market of the Luberon, with over 300 stalls filling the centre of town. 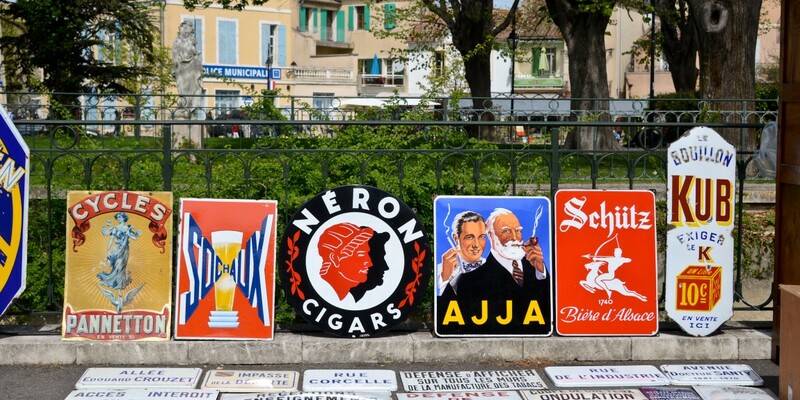 It has fewer products aimed at tourists than other markets, and is heavily used by locals. 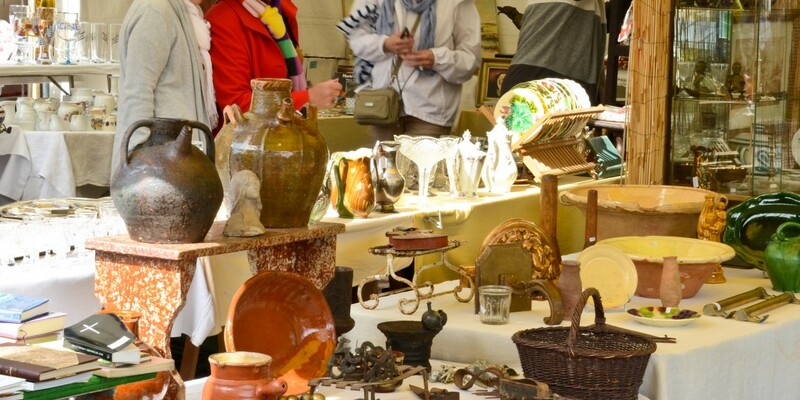 Amid the 300 stalls you’ll find…everything! If you want something authentically from Apt, this is the world capital for candied fruit (fruit confit), so look out for that. 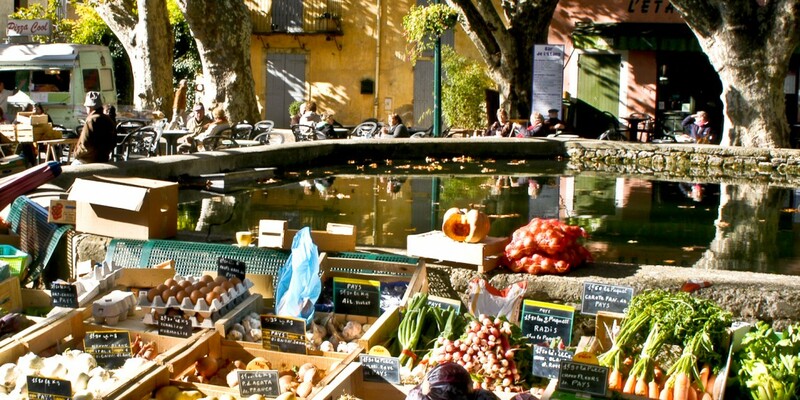 Cucuron – Tuesday: Cucuron market is small but perfectly formed around Cucuron’s most famous feature, the spring-fed water basin in the middle of the village with plane trees towering overhead. There are not that many stalls but they are very good, and the village of Cucuron is a beautiful place to explore. It was picturesque enough to be used as a movie location for both A Good Year and The Horseman on the Roof. 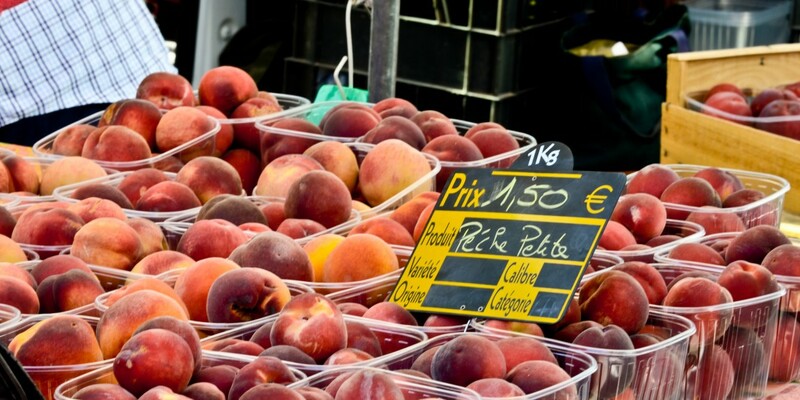 Aix-en-Provence – Every day: As Aix-en-Provence is one of Provence’s finest and most beautiful cities it is no surprise to find markets every day of the week. The peak Aix market days are Tuesday, Thursdays and Saturdays, when the old part of town is full of markets – Place des Precheurs for fruit, veg and fish; Place de Verdun, for non-food items, Place Richelme farmers’ market; flower market in Place de l’Hotel de Ville and down the central street of Aix, Cours Mirabeau for clothes and textiles. Not to mention the Christmas market for several weeks from late November, also on Cours Mirabeau. 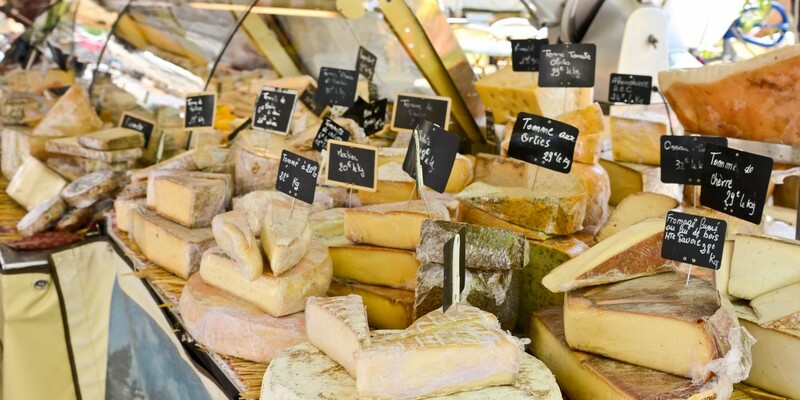 Avignon, Les Halles – Every day: This is a covered market every morning except Monday in the centre of Avignon, with 40 stalls selling local produce – a must for foodies. On Saturdays at 11 (except August) a leading chef does a cooking demonstration using produce from the market. A bonus: the multi-storey carpark built for the market, called Parking Les Halles. 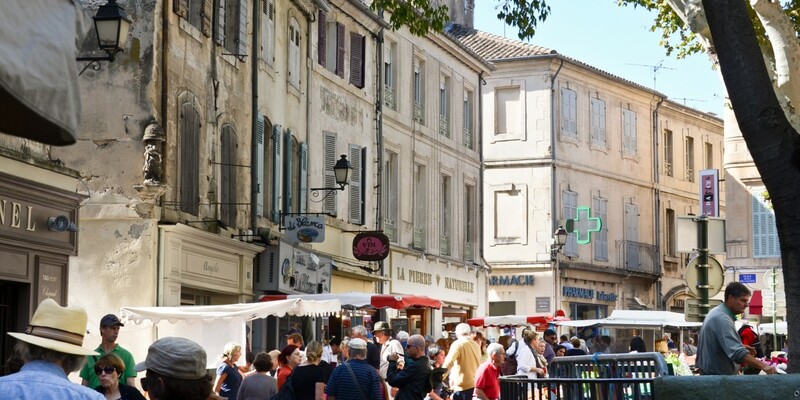 The big ones: If you want to spend a morning lost amid the stalls of a big street market, head to the wonderful town markets of Forcalquier on Monday, Vaison la Romaine on Tuesday, St Remy de Provence on Wednesday, and Arles on Wednesday or Saturday. 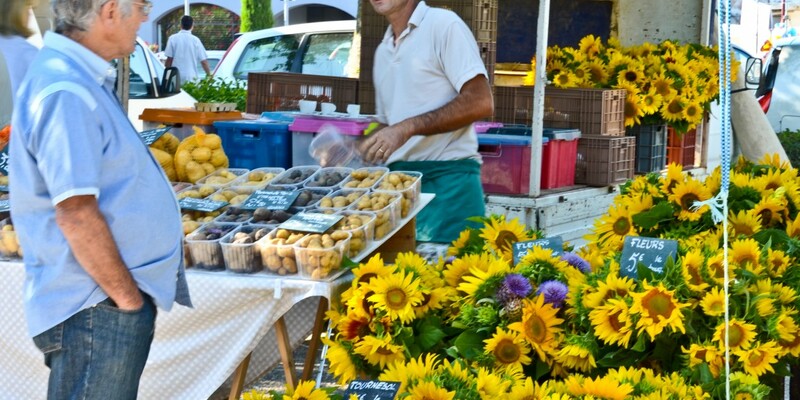 Farmers’ markets (marche paysans) sell only local, seasonal produce, sold by the farmer. Other markets are not bound by this, the produce can be from further afield, which is why you can buy bananas at the market! So the marche paysan is where you go to really buy from the land beneath your feet. Where you see produce labelled ‘bio’ or with the AB (agriculture biologique) sticker, this means it’s organic. 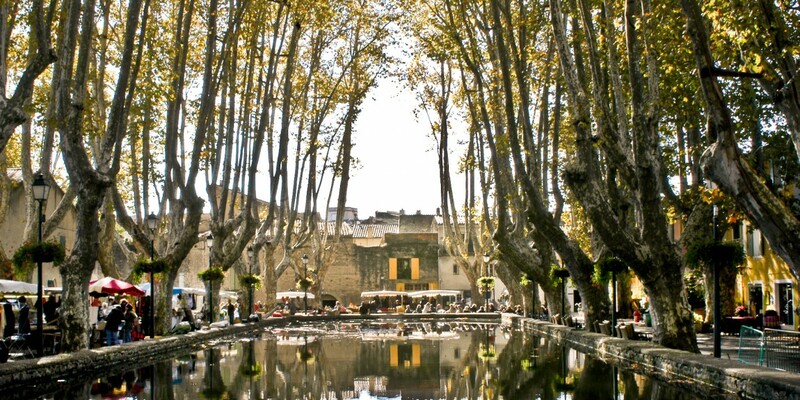 Pernes les Fontaines: Wednesday evenings April-August, 6-8 pm; and September to mid-October, 5.30-7.30 pm. Cavaillon: Every Thursday from April to mid-October, 5-7 pm, near the Tourist Office. Coustellet: Every Sunday morning from April to mid-December. Velleron: April to September, every evening except Sunday from 6pm. October-March, from 4.30pm on Tuesday, Wednesday and Saturday. 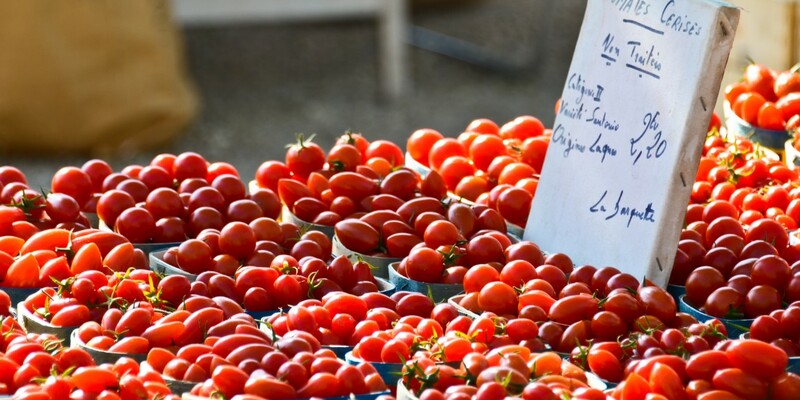 Apt: Every Tuesday morning from 9 am to 12 am this farmers’ market proposes products directly from grower to consumer. 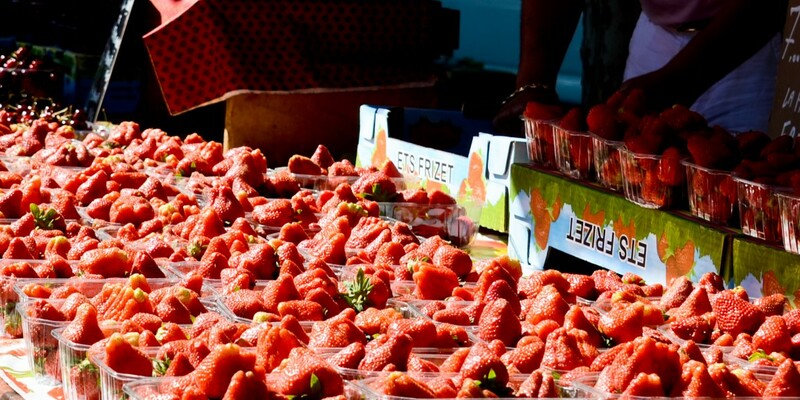 The best farmers’ markets are those of Velleron and Coustellet. Velleron is where locals buy food, they know that they need to be there right at the start to get the best produce, and on the blow of a whistle the gates open and in they sweep. 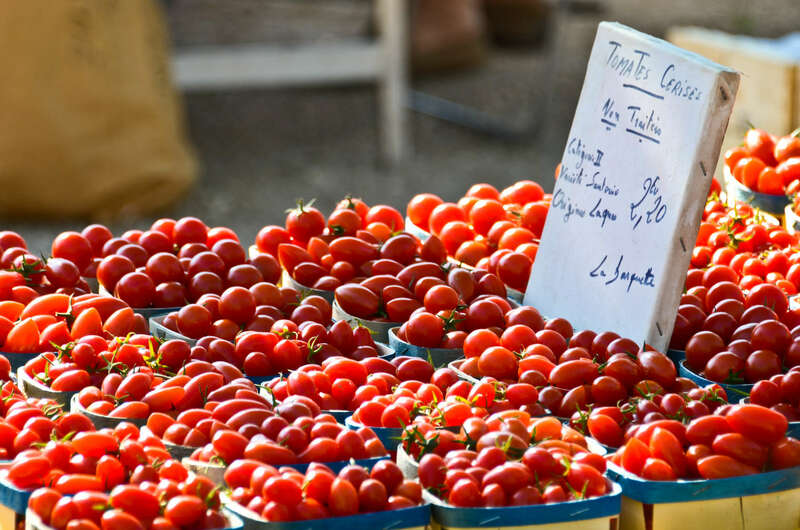 Coustellet market is also where locals go but it is more of a social Sunday morning occasion, less hurry and more strolling and coffee-sipping. Both are highly recommended. In the winter, which is to say the truffle season from November to March, truffle markets bring together buyers and sellers of this sought-after commodity. Provence is the heart of French truffle productionand the truffle markets are where most transactions take place, whether to individuals, resellers or restaurant chefs. 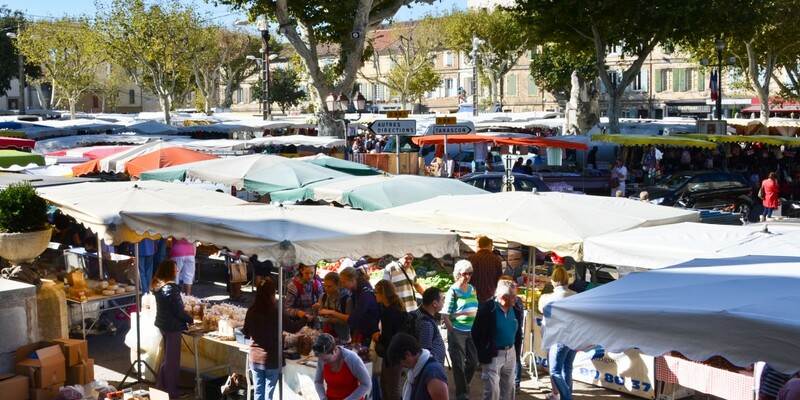 The biggest markets are in Richerenches on Saturday mornings, Carpentras Friday mornings and Aups on Thursday mornings. 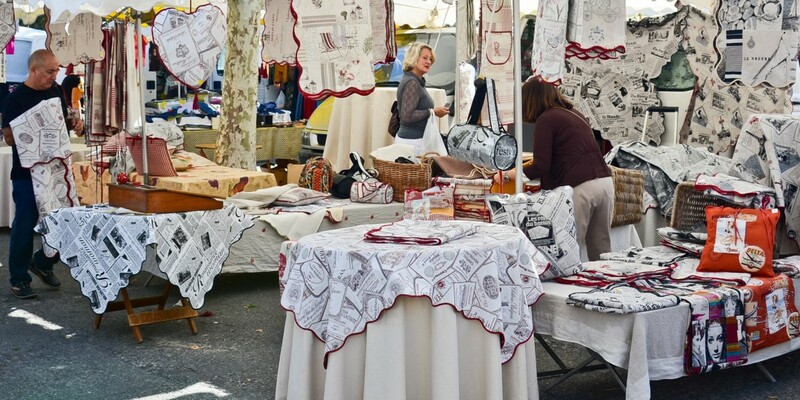 And a special mention for the little truffle market in the beautiful village of Menerbes which takes place the last Sunday of December, in the Place de l’Horloge at the top of the village. The main towns of Provence have Christmas markets in December, and some villages too, but for a shorter period, sometimes just a day. Adding light and animation to the festive season, these markets consist of stalls selling Christmas-related items, wintry food and drinks, sometimes fairground attractions for younger children. Aix-en-Provence has its Christmas market along the Cours Mirabeau; in Avignon it is in the central square, the Place de l’Horloge; Marseille has its Christmas market in the old port (vieux port); and Toulon on the Place de la Liberte. Arles does things a little differently, its Drôles de Noël (funny Christmas) right around Christmas itself is 5 days of free street entertainment – circus acts, theatre, story-telling, music and lights.